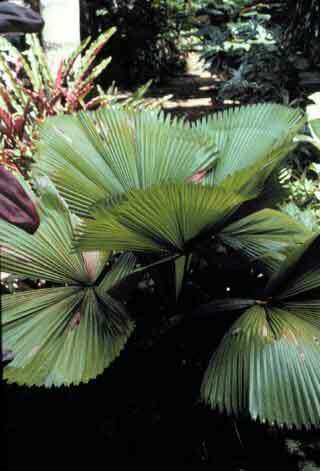 Description: Also known as Licuala, Palas or Payang Palm. Has wonderfully symmetrical, glossy dark green leaves and neat growth habit. Leaves up to 1m across and have notched margins. Suspect to cold and is a most sought after palm.